Gaillardia, also known as Blanket Flower or Brown-eyed Susan, is one of our showeiest and most cheerful wildflowers. The large, daisy-like flowers are yellow with red centres. These fragrant flowers are especially attractive to butterflies. Sun; poor to average well-drained soil. Gaillardia is very common farther south in Alberta and in the Rocky Mountains, where it can often be seen growing in gravel by the side of the road. It seems to thrive in dry, sandy prairies and stony places. However, it grows in only a few isolated patches in the Edmonton area, mainly on south-facing slopes. Gaillardia likes sun and poor soil, but it will grow in any well-drained garden soil. Buy small, young plants rather than mature ones, since they have a deep tap-root and they don't like to be moved. Many cultivars have been developed from this species; however, the native Gaillardia is just as beautiful as any cultivar, and far hardier. Gaillardia is one of the last plants to emerge in the spring and sometimes it doesn't appear until June, but it quickly makes up for lost time and is flowering by July. Gaillardia will form a small clump when mature, but it does not spread. You cannot divide the mature clumps but the plants do self-seed occasionally. Help the process along by growing a few plants from seed each year. Gaillardia is a short-lived perennial and it is always nice to have some spare plants to fill in the gaps. Plant the seeds directly into the garden in late spring or late fall. When the seed-heads look grey and dry, and the seeds separate easily from them, cut the seed-heads off. When separating the seeds use gloves, as the tough, spiky hairs attached to each seed are more prickly than they look. Do not try to take these hairs off, since they are part of the seed. If you want to keep your Gaillardia patch truly wild (and so conserve the gene pool of this local native plant), make sure that there are no cultivated Gaillardia (cultivars) within 300 m of your yard. Otherwise, the cultivated plants may cross-pollinate with your wild plants and the seeds will be hybrids. Bees can fly long distances. 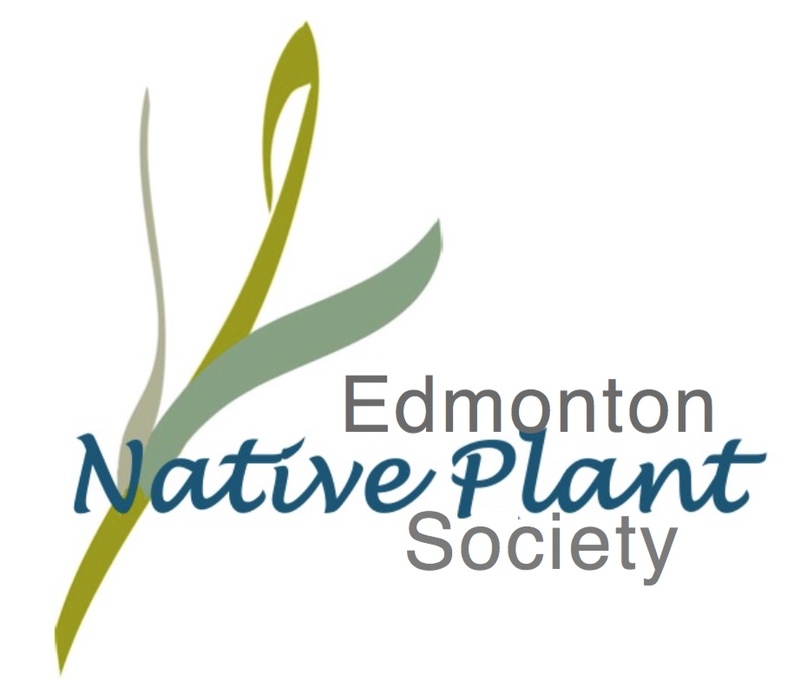 Northern Bedstraw is a common species in Edmonton's river valley and ravine system. Its clusters of tiny fragrant, white flowers can be seen in mid-summer, in sunny meadows, or forming a drift of white along the forest edges. Northern Bedstraw's natural habitat includes open woods, woodland edges, clearings, moist meadows and roadside ditches. Northern Bedstraw is a great plant for a semi-shaded or woodland area, although it is just as happy in full sun. It can be quite showy in a mass planting. It has a long blooming period and the white blossoms will complement the colours of your other flowers. It transplants well and doesn't mind being divided. This plant would look great in a wildflower meadow. It likes any type of soil and it grows quickly, spreading by underground runners into a large patch. But because it is a small plant with shallow roots, it's easy to dig out unwanted plants. If you don't want it spreading too far, just bury a length of 15 cm (6") wide lawn edging around it. You can sow the seeds in either spring or fall, directly into the garden. The seeds are pairs of tiny, round nutlets attached to the flower stalks. These nutlets will be black or brown when they are ripe. Harvest the nutlets by detaching them from the flower stalk, then store them in a brown paper bag. Northern Bedstraw belongs to the same family as coffee (the madder family) and the seeds can be roasted and ground as a coffee substitute, but you would need a phenomenal number of these tiny seeds for one cup of coffee! will stick to your clothing, but Sweet-scented Bedstraw doesn't stick. This species has weak square stems that trail along the ground, each plant forming a patch of groundcover. The leaves are in whorls along the stem. Flowers are tiny, white and inconspicuous. Its habitat is moist woods. Shade or semi-shade. Damp rich soil. and are white, occasionally pale pink, or pale purple, with prominent pinkish-purple veins. or naturescape and will self-seed readily. It grows well in sun or semi-shade. The leaves are edible and can be eaten raw or cooked. Semi-shade or sun. Average soil and moisture. Three-flowered Avens, also called Old Man's Whiskers, likes to get an early start on spring. Its bright green leaves are some of the first foliage to appear. The rose-red, urn-shaped flowers look like buds and hang down in nodding clusters of three. The blooming period lasts from May through June. The flowers mature into beautiful, feathery, silken seed-heads. In June and July, the massed seed-heads give the effect of a pinkish, smoky haze over the prairies where these plants frow. This characteristic gave rise to their other common name of Prairie Smoke. Sun; average soil, average moisture. This plant is rare in Edmonton, but it can be seen in remnant prairies outside of the city. Its natural habitat is dry to moist prairies, open woods, and steep slopes. Three-flowered Avens is a low-growing plant. This feathery-looking leaves are basal, which means that they emerge close to the ground and form attractive rosettes. A whole group of these plants can make an effective ground cover, as each plant will spread into a small colony about 30 cm (12") across. This avens grows well as long as it is not crowded out by taller plants. It can tolerate a small amount of shade and just about any moisture conditions, from wet to dry. The seeds of Three-flowered Avens have a good germination rate. Plant the seeds in late spring and barely cover them, or just press them, uncovered, into the ground. The seeds ripen at any time from July through to October. They don't blow away, but stay on the plant which makes collecting easy. When the seeds detach easily from the seed-head, they are ready for harvest. First Nations People boiled the roots of this plant to make a tea. They also used the roots as a medicine for colds, fever and flu, and as an eyewash. The seeds were crushed and used as perfume. licorice flavour., however it is not this species that is used to make licorice. yellowish-white and typical of the pea family. They form a dense cluster. The seed pods are quite striking. They are reddish-brown burrs with great stickability. Each pod contains 3 -5 small pea-like seeds.